COUNTERPRESSURE STERILIZATION: WATER CASCADE/SUPERHEATED WATER STERILIZERS FOR LVP, LIQUIDS IN SEALED CONTAINERS AND HEAT SENSITIVE PRODUCTS. FOW water cascade sterilizers are able to perform counterpressure sterilization through superheated water. 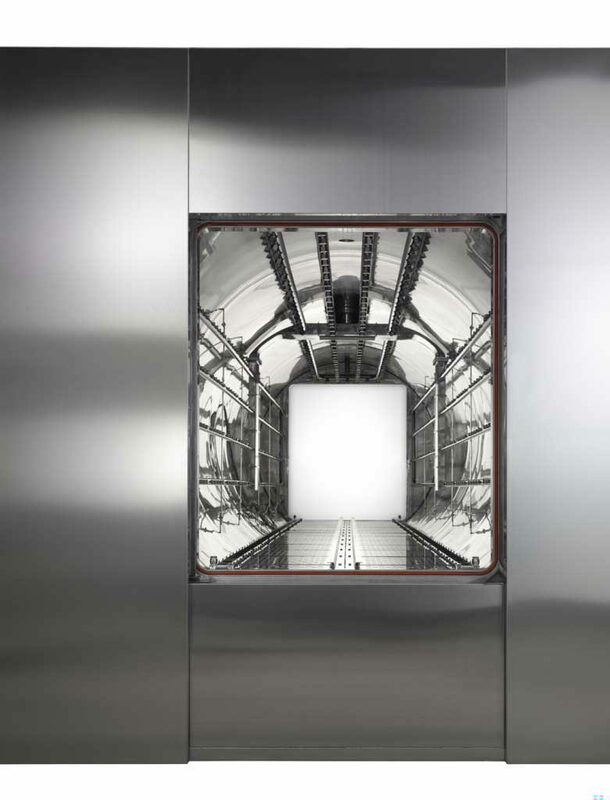 In compliance with cGMP FDA standards for LVP products, FOW autoclaves are suitable for treating loads in containers that may be deformed due to the difference in pressure between the chamber and the container itself. 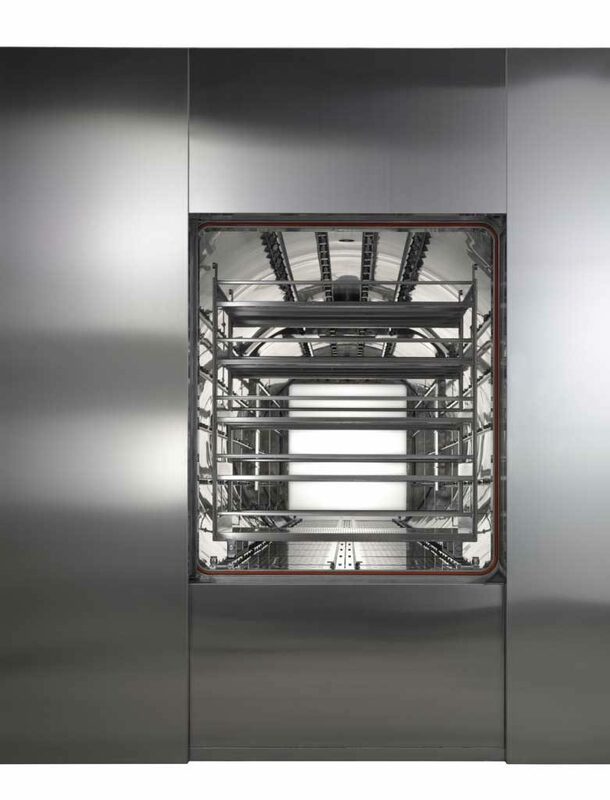 Where the product is liable to separation or for accelerating thermal transition phases, the whole load can be rotated during the entire sterilization process. 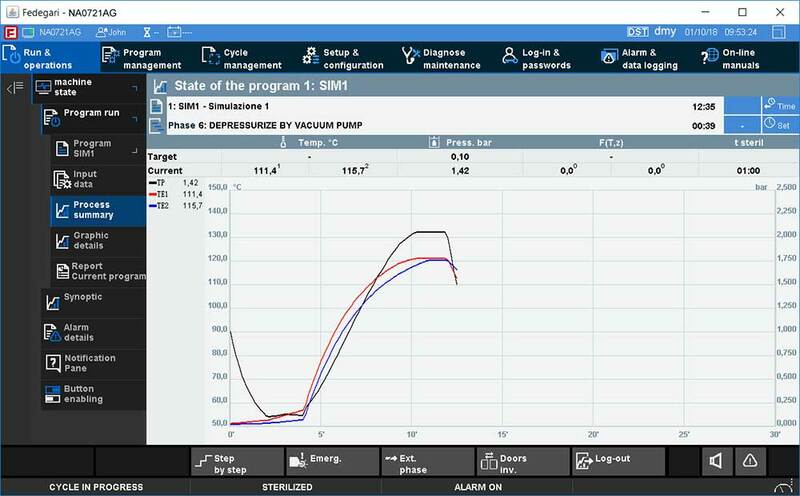 Process optimization: The process is faster than the air-steam sterilization process. FOW is also an ideal sterilizer for <105 °C processing. 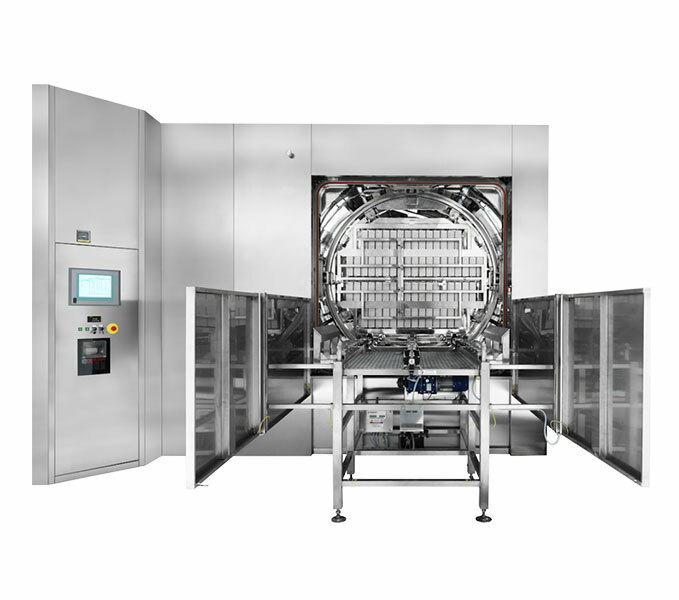 Wet loads can be overcome using on automated drying extension with the installation of specific drying solutions downstream of the sterilization chamber. Easy validation & integration: Thema4 process controller is pre-validated according to GAMP5 and in compliance with 21 CFR Part 11, thus resulting in shortest qualification time and minimizing project risks. Open system architecture that can be integrated with SCADA system and other Fedegari machines. Highest productivity: Fedegari R&D laboratory is available to develop the best treatment solution for your specific needs. We run tests with different loads and requirements. Sterilization of parenteral solutions, liquids in sealed containers not deformable (eg. glass vials) and liquids in heat sensitive sealed containers (eg. plastic bags or bottles). Terminal sterilization of pre-filled syringes (PFSs). 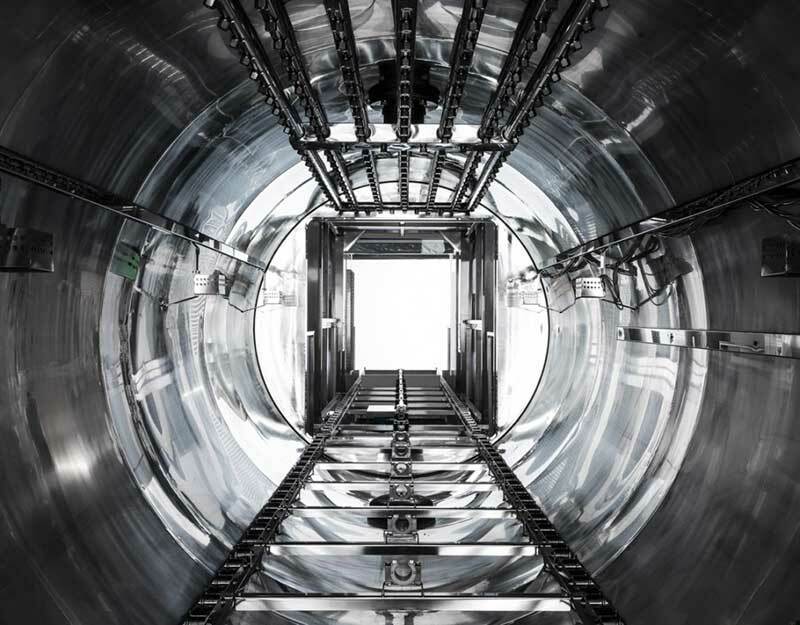 The load is held in rotation thanks to a special rotating drum inside the chamber. The rotation drum has a magnetic coupling and is adjustable in speed, direction of rotation and intermittently. This system finds application in the treatment of suspensions and emulsions and ensures a better performance of the tightness tests for ampoules under vacuum and a more homogeneous heat transmission in the load. Robotic handling with FOW for the pharmaceutical industry. Catalogue FOA FOW – Counterpressure Sterilizers. 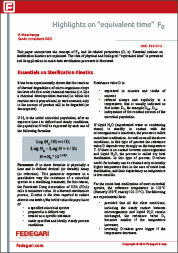 Moist-heat sterilization – F0 highlights. 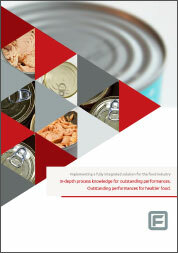 Canned food: case study on correct sterilization.